Verbal Artificial Intelligence: Our Best Friend Or Our Worst Enemy? Siri. Ok Google. Alexa. Amazon Echo. Amazon Dot. This particular type of artificial intelligence is a technology that humans have unwittingly let into our homes without first thinking about the possible long-term implications of such “technology”….ESPECIALLY the spiritual implications! Okay, lets start with the basics, here. First of all, why does the software only respond to ONE name and one name, ONLY? (Be it “Echo”, “Alexa”, “Computer”, whatever?) I always found that to be a bit creepy. (Almost as if some demon was “summoned” into the device or something? But maybe that’s just me). And even if it COULD respond to multiple names, who or what could possibly be behind it? I’ve noticed that several people have taken to social media to report that their “Amazon Show” or “Amazon Echo” was “acting strange”. (Strange, to say the least). Others, on the other hand, have said that their Echo will order things online without their permission OR “speak in demonic voices”. Well folks, that definitely caught my attention a bit. And then I thought about it for awhile…..truly thought about it. And that’s when it hit me. In fact, one day, I was over at someone’s house with an Amazon echo. We were talking in a room that was 2 whole rooms away and I could’ve sworn I heard the device “demonically growling” for a few short seconds. It was CREEPY! But then again, I kind’ve just shoved it to the back of my mind at the time, telling myself I probably just “imagined it” or heard it on the TV or something. I immediately dismissed it and thought nothing more of it. Until I encountered the stories of OTHER PEOPLE online who said they heard THEIR devices doing “strange things” like that. And that’s when I came to the ultimate spiritual conclusion: “Speaking/interacting” with VERBAL “artificial intelligence” is very likely no different than speaking with a DEMON! But yet, here’s the most weirdest thing of all. When people ask their “Alexa” if she works for NSA or the CIA here in America, she IMMEDIATELY shuts off! Wow. That’s very eerrry folks….and yet, VERY telling…….Interesting……. (Every country of the world is slowly turning into a “communist paradise”. In democratic nations, such as America, such “technology” is utilized to DISCREETLY “spy on its own citizens” UNDER THE RADAR! But then again, if they asked if she (Siri and/or Alexa) worked for Satan, would she respond any differently? But then it got me thinking even further. What about the talking, interactive DOLLS/STUFFED ANIMALS that kids like to play with these days? Might they also be a roosting ground for “demonic spirits” to enter INTO? When I was a kid, they had this interactive/talking teddy bear that held a cassette tape inside his belly. And at night, if the parents didn’t want to read to their children, all the child had to do was click “play” on the cassette tape inside the teddy bear’s “belly” and the “Teddy” would then open up his mouth and move his “paws” a bit and “talk” and audibly recite to children his bedtime story book (which I guess was sort’ve a very early version of today’s “audio books”, in a sense). And I just remember this ONE particular time I was playing with my “talking teddy bear” in the middle of the day when my mom walked in to the room. I told her I wanted to “turn Teddy off”. I tried to hit the eject button on the cassette player inside Teddy’s belly. But the tape wouldn’t eject. I kept hitting the eject button over and over again, but Teddy just kept “rambling on”. My mum then told me to look for an “off” button on his back, only it wouldn’t turn off or I couldn’t find the “off” button (one of the two). My mum stood over the thing and had a total look of TERROR upon her face. And by THAT time, I was crying HYSTERICALLY since I couldn’t get my finger unstuck from Teddy’s mouth, because his eyes were “flickering red” and because of the loud, grinding noises of his “motor” and because of the awful, awful “burnt smoky” smell emanating from it! I remember briefly looking up at my ceiling and saying or thinking something along the lines of “JESUS, HELP ME!“ and almost IMMEDIATELY, Teddy “growled” and let go of my finger and I immediately dropped him on my bed, with his motor “still spinning” on my bed. I was both saddened (as, up until that point, Teddy had been my favorite toy) but also RELIEVED (I had never before seen “Teddy” act in such a “hateful, terrifying manner”). But looking back on that (especially in light of the events of most recently, compared with other people’s testimonies about how their “Amazon echos” were “acting strange”), I can only come to ONE conclusion: VERBAL ARTIFICIAL INTELLIGENCE HAS THE PROPENSITY TO BE INHABITED BY DEMONS/DEMONIC SPIRITS! How is it then that more people are not seeing this? But then again folks, that’s the problem these days. We’re SO blinded by Google, by Amazon, by the MEDIA, by Popular Culture that we just don’t see things for what they really are! Especially when those things are staring us right in the face! Satan has used MANY WEAPONS against mankind in the last several years (the entertainment industry, peer pressure, social culture, lawsuits etc. against Christians, the media) to brainwash the masses into a more “liberal society”. And so NOW his greatest weapon of FURTHER brainwashing the masses has become the verbal leg of “artificial intelligence”. Who DOESN’T want an “Amazon Echo” or “Amazon Show” these days, right? Even I myself was (at the VERY first) slightly “tempted” by such technology. But then again, that’s how Satan rolls. In the bible, consorting with demons is a no no. So Satan had to think up a way in which consorting with demons was both “fun”, “cool”, “popular”, “convenient”, “cheap”, “innovative” and “easy”. Enter Verbal Artificial Intelligence. And the sad thing is that most people don’t even KNOW they’re very likely actually interacting with “demons”. Many a skeptic would probably say: “Alexa is not a demon”. But lets do some further research into this, folks. At a recent MIT conference, he was quoted as saying, “With artificial intelligence we are summoning the demon“. He further goes on to say, “Ya know, in all those stories where, there’s a guy with a pentagram [PENTAGRAM?] and the holy water, and he’s like, yeah, sure, he can control the demon”, then smugly replied, “It didn’t work out”. Those comments are both very chilling and telling at the same time. But what he forgot to mention is that verbal artificial intelligence (as a whole) is very likely summoning OF the demon. Folks, do you REALLY think all the people behind these “technologies” are “Christian” at all? I haven’t come across ONE. (Not to say that they’re not possibly out there somewhere, in the A.I. world, I just have yet to come across one that’s truly “Christian”). That should tell you something, folks! But interesting enough, he further went on to say that he sees (or knows?) that artificial intelligence is even MORE dangerous than nuclear weapons! (Wow! That statement just blew me away, with its wide-spreading implications!) Because it’s almost like he’s inferring that the type of society in the movie “I-robot” will soon become our actual, living reality! Does anyone else remember the movie “I-robot” with Will Smith? And how, over time, the robots became more intelligent than the humans and tried to OVERTAKE THEM? Now, in the year 2017, this “plot scenario” doesn’t seem so far-fetched! (Scary, INDEED, folks!) And trust me folks, if Elon Musk HIMSELF is already concerned about it, as is Stephen Hawking, etc., that should SERIOUSLY tell us ALL something! Another thing that really gets me about the “Alexa” app is how the whole entire family often gets involved, even down to the very tiny toddlers! And, if Elon Musk himself is “hinting” to us all that artificial intelligence is “summoning of the demon” (in general? ), should we as Christians be concerned at all? The answer is a resounding YES! Folks, we’re living in the Last Days! We REALLY, truly got to think about what we’re allowing into our hearts & into our homes! Many Christian people (as well as otherwise) have always denounced having Ouija boards in the home. But probably not alot of people are thinking about the long-term spiritual implications of having an “Alexa”, “Siri”, etc. in their homes, am I right? Folks, I know this is gonna sound a bit crazy so just bare with me, here. But “Alexa” was honestly designed by Satan and his demons (BEHIND the scenes – with many an Amazon engineer being unawares, even) for HIGH SPIRITUAL WARFARE! Don’t believe me? Just THINK about how “tempted” you very first were to BUY or USE an Alexa in the FIRST place! Your “brain” was probably telling you, “I want it! I want it! I want it! I GOT to have it!” But just WHO or WHAT was BEHIND that “desire” to buy the Alexa, in the first place, folks? Any guesses? And AS it sits there on the shelf and we’re being constantly BOMBARDED with TV commercials and Amazon and Youtube ads regarding Alexa, it’s nearly IMPOSSIBLE for our “wordly/fleshly/secular nature” NOT to see it as a ‘useful” app. And THAT, my friends, was Satan’s focus, hope AND strategy! The bible says that Satan’s angry and knows his time is short. And as time goes on, his time on this Earth gets shorter & shorter & shorter. Thus, he’s CONSTANTLY gotta crank out more and more and more ways to ENSLAVE, ENSNARE & DECEIVE THE MASSES! Gay marriage was ONE way in which he did it. Gay adoption and Abortion another way. And simultaneously? Amazon Alexa AND Transgender rights are just ANOTHER way. There’s SSOO MMAANNYYY doorways leading to Satan in this world (here in the year 2017), that it’s honestly MIND-BOGGLING! But yet, there is only ONE true, spiritual doorway to Eternal Salvation AND Eternal Life and THAT is through the Lord Jesus Christ! See folks? Notice the difference, there? So, to put this in perspective, there’s about 7.5 BILLION people on the Earth right now. The U.S. population (around January 2017) clocked in around 324,310,000-ish. Out of both of those population numbers, about 75% of people in America identify as “Christian”, compared with about 36% Christians worldwide and about 34% Catholics worldwide. Now, if you were to FURTHER break down that 75% that identify as Christian, a 2016 poll reveals that 55% of Christians now actually SUPPORT “gay marriage”, while only 37% oppose it. And then you can break it EVEN FURTHER down. OF that 37% that opposes “gay marriage”, how many of them live by BIBLICAL TRUTH? Translation? Just because you CALL yourself a “Christian” does NOT mean that you are TRULY Christian and/or are automatically “saved” in Jesus Christ! For example: A person is a church-going person but yet, they hold a severe grudge towards a coworker or a family member. They are NOT truly living in Christ! They proclaim Christ with their LIPS but their LIVES and their ACTIONS are FAR from HIM! Sound familiar? We’ve ALL been guilty of something similar in our lives at one point in time or another. 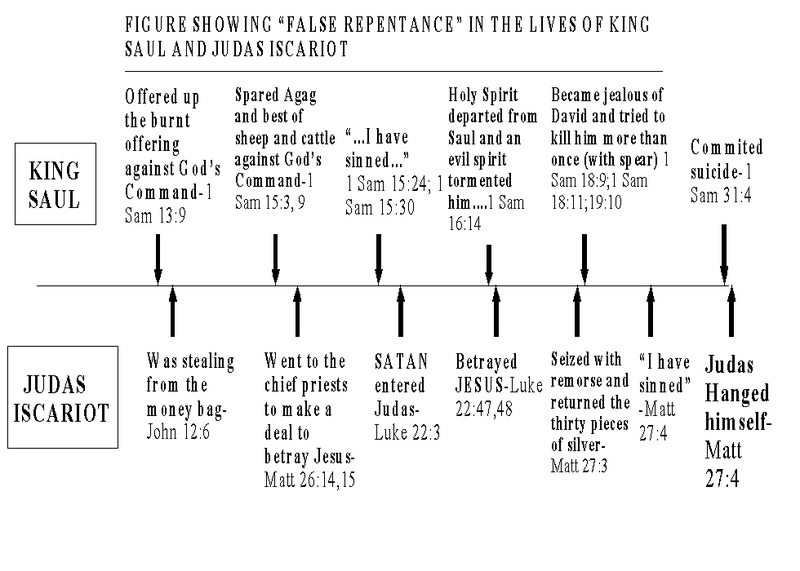 But when it becomes a NON-REPENTING pattern, as in, we start to feel (over time) JUSTIFIED in our sins, that’s what Jesus is talking about in Matthew 15:8 when he states, “This people draweth nigh unto me with their mouth, and honoureth me with their lips; but their heart is far from me“. BUT THEIR HEART IS FAR FROM ME are the key words, here. When it comes to things like “verbal artificial intelligence”, what does it mean to have a heart that’s FAR from Christ? Answer: To have one’s heart MORE “given over” to “Alexa/Alexa app” than to Christ! To love “technology” more than Christ! To love “Alexa”/using Alexa more than Christ! To love “modern day convenience” more than Christ! So to those Christians out there who own an “Alexa”, I ask this of YOU today: Where is YOUR heart? Because remember that a simple, innocent “fascination” with “Alexa’s technology” can turn into a full-on ADORATION AND OBSESSION/WORSHIP OF “ALEXA!” In fact, “Alexa” serves as a DEMONIC IDOL to MANY! But question: what are we, as Christian individuals (as a whole) doing in the FIRST PLACE, talking to “Alexa” when we should INSTEAD be talking with CHRIST instead, in repentance and in prayer? And while I do NOT condemn Amazon in and of itself as a whole (I myself shop there for a GREAT many things and absolutely love online shopping through them), I would have people to think twice before ordering an Amazon “Echo” or “Dot”, if they haven’t already done so. Is it possibly WORTH losing your eternal salvation over, folks? Think about that long and hard before you buy one! And true, some might try to use it for CHRISTIAN PROGRAMMING, ONLY……But how long do you think it’ll be before those Christians start using it for OTHER purposes? (i.e. “Alexa, what’s the weather today?”, “Alexa, what time is it?”, “Alexa, set my alarm for tomorrow”, etc.) It’s a VERY easy trap to fall into it, folks! Believe me, I know…..For I myself once fell IN to that “trap!” So PLEASE LEARN FROM MY EXAMPLE/MISTAKE! And remember, spiritually/mentally straying from Jesus Christ starts out so SLOWLY. As in, it all begins with an “innocent” curiosity about something (such as “Amazon Echo” or “Amazon Dot”). In Matthew 7: 7-8, during his Sermon on the Mount, (one of his MOST IMPORTANT sermons, by the way), Jesus states: “Ask, and it shall be given you; seek, and ye shall find; knock, and it shall be opened unto you: For every one that asketh receiveth; and he that seeketh findeth; and to him that knocketh it shall be opened”. So now what, folks? Now Alexa is “supposedly” supposed to REPLACE Jesus, now? WHAT IS THIS, FOLKS????? SERIOUSLY????? That just proves to me right there that Satan is trying to use Alexa to SURPLANT Jesus and the first line in that article PROVES it to me, beyond all reasonable shadow of a doubt!!!!!! I pray that all who read this (as well as the person who wrote that CT article) will see the SPIRITUAL DANGERS of the “Alexa”/”Alexa app”, as well as all verbal artificial intelligence systems, etc., AND that they will re-examine their spiritual walk with Christ and to self-examine rather or not Christ is TRULY the centerpiece of their lives or not. And remember: That goes just as for me as for anyone else, here! Back in the 90’s, if you took a photographic “selfie” of any sort, it generally meant you “had no friends”. But here, in the year 2017, the concept of the “selfie” has turned into a whole other meaning, completely. In today’s society & culture, if you DON’T take a “selfie”, it socially means that you have no friends or that you’re “not cool”. But what exactly is “the core” of a “selfie”? Answer: SELF-WORSHIP/WORSHIP OF SELF! I think alot of people are forgetting that. Today’s culture is all about me, me, me…..How will this or that make ME look? How will such n’ such benefit ME? What’s in it for ME? How does this relationship/job/friendship/etc. benefit ME? Not to sound too brash here but today’s people are just IN LOVE WITH THEMSELVES! You go to someone’s Facebook page, for instance, and they have a bazillion photos of themselves from every which angle. And just think: They have to personally download/upload EACH and every single one. Plus some of the photos are even duplicates! Now, don’t get me wrong here……I’m not saying that EVERY single person on Facebook is self-absorbed or that Facebook is the Devil or anything like THAT….But, over time, Facebook has evolved from its very humble beginnings to slowly becoming a more and more “self-absorbed media platform/narcissist’s dream”, as time goes on. And then you have Youtube. People that both “worship” Youtube (as though it’s some sort of “god”, I kid you not) and people that “utilize” Youtube to BE worshiped by others. Just think of all those videos from what I call “the million viewers club”. If they get over a million views on their video, then they’re eligible to be a Youtube partner and get payed a cut from “each” and every view of their videos (from how I understand it?) Basically, Youtube has become a “fame gone mad” type thing. And these people that make millions of Youtube videos each year and make money off them………am I judging them? No. Not at all. But I DO kind’ve feel sorry for them in a small sense. Because when they say things like, “I’d like to think my subscribers”, or do crazy/dangerous things because their “subscribers asked them to”, etc., it’s like they’re turning to PEOPLE/SUBS for fulfillment, instead of to something much bigger and greater than them (i.e. Jesus Christ/Salvation) for fulfillment. And it just breaks my heart! They have NO IDEA of what they’re missing out on! But again, it’s really no different than the feeling that many famous celebrities feel when people “worship them”. Over time, they start to feel invisible and start worshiping THEMSELVES! And personally, Satan couldn’t be more the happier when that happens for it means just one more for the “eternal burn pile”, someday. Think of Satan like the bad kid that acts up in class. He KNOWS he’s going to get in trouble with the teacher for “being bad” and be punished “real bad” afterwards but he wants to try to corrupt as many of the “good kids” in the class that he possibly can so that THEY get punished, too. His stealthy “warfare tactics” know no bounds! Self-worship is something that Satan was originally guilty of, up in heaven, during “The Fall”. So now, Satan wants humans to be like HIM: a self-deluded, self-worshiping creature! A creature who’s ANGRY with God/Jesus Christ, ANGRY with the bible & its commandments/decrees and ANGRY with everything that’s righteous & holy! He’s likely full of “silent fear”. I think deep within the depths of his being, he KNOWS he can never be equal to God/Jesus Christ and he fears losing! But he likely masks that fear with DENIAL & DEFIANCE! For, he likely reasons, if he can mask his fear with denial & defiance, perhaps no-one (especially humans) will ever know how secretly “running scared” he is, underneath it all. But going back to the concept of what I’ll call “selfie worship/self-worship” among the human race. Narcissism/Vanity & Pride are two of Satan’s top traits and now he’s trying to make as many human beings like this as possible! Why? To take them away from Almighty God/Jesus Christ/Salvation! Because believe it or not folks, OUR suffering (physical, emotional & spiritual) pleases Satan! In fact, he’s quite HAPPY knowing that several humans will be thrown into the lake of fire at God’s Judgement, someday! He’s HAPPY knowing that several people are being snatched from Jesus Christ on a daily basis! He’s nothing short of evil/evil-minded! Not to mention that people are SO hung up on taking “the perfect selfie” photograph these days, that several people have even DIED or gotten SERIOUSLY injured from it! This is NO laughing matter, folks! This is very, very serious! In fact, sadly, many of today’s problems have to do with “Social Justice Causes”. And while many “Social Justice Causes” might “seem” good on the surface, most of them are about as evil as can be! They MOCK Christ, they MOCK the bible, they MOCK the traditional family, they MOCK Christianity, plus they align PERFECTLY with Satan’s Will, NOT God’s Will! For example: Abortion. “Social Justice Warriors” make it “seem” as though the “fight for abortion” is the “fight for women’s rights”. But lets peel back the layers a bit. What DO abortion procedures actually DO? Essentially, they make a pregnant woman an “unpregnant woman” (or rather, the mother of a “dead baby”). And how do they do that? They either stop the babies heart and/or RIP the baby out of the womb with forceps, LIMB BY LIMB! And just like selfies, abortion can even be likened to a FORM of “self-worship” (worship of oneself over one’s baby). Now tell me…..Why should women have the right to MURDER their babies? Especially considering that THEY THEMSELVES weren’t aborted in the womb and received the right to life! A baby’s heartbeat starts beating at just 21 DAYS after conception! 3 weeks, folks! 3 weeks! Plus research has shown that babies as young as 8 weeks (and probably even less) can FEEL PAIN! And yet, some of these “Social Justice Warriors” are trying to advocate for abortion at ANY point during pregnancy, even up until birth! THAT’S SPIRITUALLY DISGUSTING, FOLKS! What a “murderous/narcissistic spirit” we have roaming here in America, today! When a person decides who lives and who dies (think Euthanasia, for instance), that could be considered “playing god”. So how is abortion any different? If a woman’s right to “convenience” trumps a baby’s right to live, the woman (in a direct sense) is “playing god” (rather she realizes it or not). She’s worshiping her own body/reproductive system, rather than the one True God [Jesus Christ Almighty] who CREATED her reproductive system for marriage/children purposes! Selfies and vacation pics (in and of themselves) aren’t inherently evil, it’s oftentimes the intent behind posting them on social media that makes them evil. If I, for example, have a friend take a picture of me in front of a building in Germany and me and that friend/immediate family members are the only ones that see it, that’s one thing. But if I’m posting it on social media to “brag” about and “showcase” my so-called Germany vacation to the world wide web, that’d be quite another thing, altogether. Now, if I were to somehow give glory to Jesus Christ FOR the so-called Germany vacation and showcased THAT thankfulness on social media under the picture captions or something, that would be ONE thing. But lets face it. Most people who post HUNDREDS of images on social media of, for example, their vacation to France, want other people to see “how great their life is”. Am I wrong, here? Which reminds me of some of the Youtube vloggers. Some of them are showcasing their entire lives on Youtube (everything from the first date to the kitchen sink and everything in between). And true, they might possibly be making money from those videos (which might be why they do it in the first place) but what many psychologists are saying these days is that these people are unfulfilled in their normal day-to-day lives. So for them, Youtube/social media is like an alternate universe where they can be something, be “someone”. But THEN what happens, folks? What happens when the thing happens? They’re STILL not “complete”. There’s a big gap of RESTLESSNESS in their lives and that gap can ONLY be filled/fulfilled by Jesus Christ Almighty! It sounds cliché but it’s true! Selfies and worship of self are not just about “vanity”, “pride” and “fitting in”. They’re about “popularity”. They’re about finding fulfillment IN people/social status, rather than in Jesus Christ. Just like Social Justices causes are about finding fulfillment in everything BUT Jesus Christ. 1). WHY am I doing this? What is my PRIME motivation? 3). Does what I’m doing bring glory to Jesus Christ at all? If not, then why am I still doing it? The Coming ECONOMIC COLLAPSE: Are YOU Ready? For years and years and years, many have heard “conspiracy theories” about how ALL world economies would someday (like a domino effect) “PERMANENTLY CRASH” all at once, with little or no warning! And then, as a result, a “one world global leader” would “gallantly” come onto the world scene, “appear to be the answer to all the world’s problems” and would then quickly propose the idea of a “ONE WORLD CURRENCY & ECONOMY”, (and consequently, a one world government and one world universal religion) and the like. This is also known as the “New Age Enlightenment/One World Consciousness/COEXIST/Universalist Religion/INCLUSION/TOLERANCE Movement”. True Christians have been warning about these things FOR YEARS! And most people wrote those folks off as “conspiracy theorists” or “crazy”. HOWEVER, judging by today’s world news headlines, it turns out these “folks” may NOT have been so “crazy” afterall but that they were actually ONTO SOMETHING! But one thing is for sure! Rather you’re ready for it or not, a “New World Order” is coming! A one world economy, one world religion and one world government! It’s been prophesied in the bible and secretly in the making “by the elite” FOR YEARS! Look at the above pictures long and hard. Do you REALLY think that what’s happening in Greece, Venezuela, Spain, etc. can’t happen here in America someday soon? THINK AGAIN, PEOPLE! Question: What are YOU gonna do when the economy crashes — HARD? 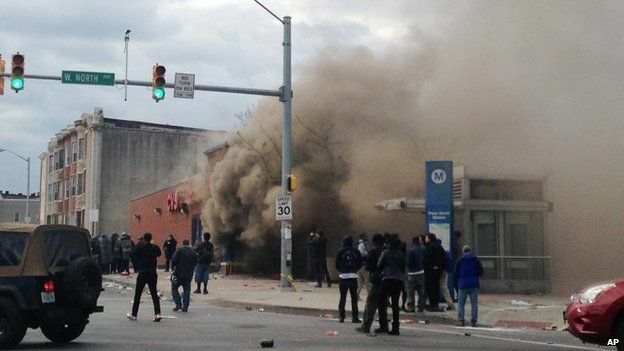 When banks FAIL, when people RUSH to the store and try to grab everything off the store shelves? When people try to break into businesses, gas stations, cars, you and/or your neighbor’s home(s), in order to try to steal what food and provisions you may have? When the ONLY solution left that the world offers is to “receive the mark of the Anti-Christ/the One World Global Leader” on your right hand or your forehead in order to be able to buy or sell? What will YOU do, in that scenario? Will YOU take your own life, in despair? Will YOU bow down to fear, abandon God and everything you’ve ever known in your spiritual walk with Christ and CAVE IN TO THE DEVIL/ANTI-CHRIST by taking his mark, so that you can buy food in the “New World Order”? Revelation 13: 16-17 says: “And he causeth all, both small and great, rich and poor, free and bond, to receive a mark in their right hand, or in their foreheads: And that no man might buy or sell, save he that had the mark, or the name of the beast, or the number of his name”. HOWEVER……Revelation 14: 9-11 ADMONISHES “And the third angel followed them, saying with a loud voice, ‘If any man worship the beast and his image, and receive his mark in his forehead, or in his hand,The same shall drink of the wine of the wrath of God, which is poured out without mixture into the cup of his indignation; and he shall be tormented with fire and brimstone in the presence of the holy angels, and in the presence of the Lamb: And the smoke of their torment ascendeth up for ever and ever: and they have no rest day nor night, who worship the beast and his image, and whosoever receiveth the mark of his name”. Translation? Your country’s economy (rather in the U.S. OR abroad) WILL “crash”, someday soon. And the ONLY WAY you’ll be able to buy or sell food in the “New World Order” is IF you take the mark of the Anti-Christ/the one world global leader on your right hand or your forehead. But IF you take the mark, you will be DAMNED BY GOD FOR ETERNITY and the smoke of your torment [in the flames] will rise for ever and ever! So you got to make the decision: do I take the mark NOW and suffer IN FLAMES for ETERNITY later, or do I FORSAKE THE MARK NOW, possibly starve to death in this world, and GAIN ETERNAL REWARDS in the NEXT WORLD [The Millennial Kingdom of Jesus Christ Almighty – The TRUE, **BIBLICAL** JESUS CHRIST – AND NOT THE “FAKE JESUS”, coming as “The Antichrist”?] The choice is up to you, folks! But don’t day I didn’t warn you! But I WILL say it’s MUCH, MUCH better to starve to death of hunger and GAIN ETERNAL LIFE IN JESUS CHRIST, rather than to FORSAKE Jesus Christ, take the mark and LOSE ETERNAL LIFE WITH JESUS CHRIST FOR ALL ETERNITY! You might be a family with small children. But even then. DON’T TAKE THE MARK UNDER **ANY CIRCUMSTANCES**! YOU HAVE BEEN WARNED! — Because they KNOW what’s coming! In fact, it’s been said that even many of America’s “richest people” are now fully leaving America in droves and going to their houses overseas. They KNOW something bad’s brewing here in America….. But yet, on the OTHER hand, you have many Christians asking, “yeah, so what? what’s the big deal? Nothing’s gonna happen to America!” Oh yeah, people? You wanna make a bet? GOD’S WRATH IS SEETHING UPON AMERICA RIGHT NOW! Where you gonna hide, when his wrath is FULLY unleashed upon America and all its “lukewarm Christians”, non-believing inhabitants, and those of different “false world religions?” For there IS no hiding from God’s Wrath, folks! When it’s unleashed IN FULL on America, it’ll be unleashed IN FULL and there’s absolutely NO stopping it! And it’s not a question of IF but a question of WHEN! Matthew 24:21-27 describes it as THIS: “For then shall be great tribulation, such as was not since the beginning of the world to this time, no, nor ever shall be. And except those days should be shortened, there should no flesh be saved: but for the elect’s sake those days shall be shortened. Wherefore if they shall say unto you, Behold, he is in the desert; go not forth: behold, he is in the secret chambers; believe it not. For as the lightning cometh out of the east, and shineth even unto the west; so shall also the coming of the Son of man be“. The legalization of gay marriage in all 50 states (and the political lobbying by the left to MAKE it legal in all 50 states) is what originally started it all. And the SHINING of the rainbow colors on the outside of the White House? Look out, folks! We’re practically at the “Abomination of Desolation” talked about in Matthew 24! Severe drought, animal die-offs, plagues, floods, wildfires, *economic fluctuations*, etc.? That’s just a small TASTE of God’s punishment for wicked America and wicked mankind! It will get worse…….much, much worse……..and if your faith isn’t in the place where you would die for your faith in Jesus Christ right now in this very moment, then you need to pray to GET that faith! Because truth be told, tomorrow’s not guaranteed! America could be bombed tomorrow……hit by an EMP! Who knows what……..But we MUST be prepared……For whatever may come our way. God’s Blessing was on America for the longest time, due to our love of HIM and his Written Word (The bible) and our close ties with Israel. However, the legalization of abortion in 1973 started to kindle his anger against this nation. But since there was still a sizeable portion of the American population that adhered to him and his word, it was a slow-burning anger. However, around the year 1995 or so, things started to change. “Gay Pride Parades” started being spoken of, homosexuals started saying, “I was born this way”, Ellen’s character on TV came out as “gay”, etc. And this is when the “cultural and moral” consciousness of American “Christian society” started to SHIFT. Because all of a sudden, Christians started buying INTO the “But I was born this way” LIE (from the pits of Hell!) Plus this is also around the same time that the Written Word of God (specifically, the King James Version bible) started going out the window, metaphorically speaking…..bit by bit and little by little. And here in the year 2015, hardly NO-ONE in America worships God AT ALL! It has become SO BAD, in today’s country and in today’s WORLD! And we know that Sir Isaac Newton was a CHRISTIAN! 🙂 Therefore, we know he was talking about BIBLICAL PROPHECIES in the bible! But sadly, many “Christians” out there today do NOT take bible prophecy or even the bible itself LITERALLY! [Which makes me ask the question: if you don’t believe in the bible at all or certain parts of it, why even follow it at all? Cause it’s either all true or it isn’t, right folks?] Although I submit to you today in the depths of my spirit that it’s true……it’s ALL true……EVERY. SINGLE. WORD. How do I know this? Because one, everything that Jesus spoke of in my near-death experience is now coming to pass……JUST LIKE HE SAID IT WOULD! Plus two, I won’t even mention about all the latest archaeological finds, scientific laws, complex DNA/micro-biological systems that actually PROVE the Genesis account in the bible!] The evidence for the bible’s 100% truth is ALL AROUND YOU…….if you’re TRULY seeking to find it! Jesus says in Matthew 7:7-8, “Ask, and it shall be given you; seek, and ye shall find; knock, and it shall be opened unto you: For every one that asketh receiveth; and he that seeketh findeth; and to him that knocketh it shall be opened”. Revelation 12:11 states: “And they overcame him by the blood of the Lamb, and by the word of their testimony; and they loved not their lives unto the death“. So what is that part of the passage stating? It’s stating that the people who GLADLY and WILLINGLY died FOR Christ did NOT coward out, did NOT deny Jesus Christ upon the threat of death/forced conversion/a gun being pointed at their head/etc., PROUDLY and BOLD gave their testimony OF Jesus Christ to others and also did NOT foolishly try to PRESERVE their lives by “pretending to convert to Islam” OR by “taking the mark”, in order to be able to buy and sell and the like. Because think about it: if you forsake your faith in Jesus Christ at the very first sign of persecution, then you truly didn’t have any faith in him at all. If you deny Christ in front of others, Jesus Christ will deny YOU in front of the Heavenly Father! Matthew 10:32-33 in the New Testament attests to this fact! 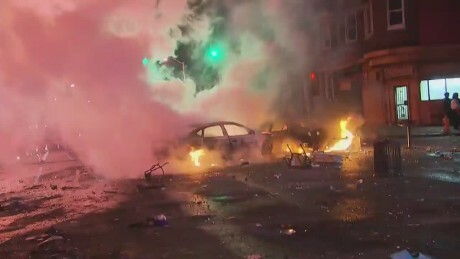 Remember all the “looting” and “flash mobs” that took place during various protests here in the U.S., most recently? That was just a very small “preview” of what things will REALLY look like when the kahbosh hits the fan! Banks and businesses will close! Food will be flying off the store shelves faster than the speed of light! People will lose all their money and once their food supply runs out, they will get desperate! They will loot other people’s homes for food! Some people might even get killed for a simple apple or can of corn! It will be THAT BAD! Plus not only that but remember when the heavenly Father rained down “manna” from heaven to feed the ancient Israelites in the desert for 40 years — when they no longer had any food with them? Therefore, who’s to say that Jesus Christ can’t also somehow supernaturally provide food for his “elect” down here on Earth — during what will soon become the greatest tribulation known to man — as soon as the “elect” run out of THEIR Earthly food supplies? But other than stocking up on some canned goods and bottled water (so you WON”T have to take the mark of the beast to buy or sell, when the time comes), you can also train yourself/your body to need less food. How? Start eating much, much smaller portion sizes each day, 5-6 times a day, instead of 3 big meals a day…. That will shrink the size of your stomach somewhat and make your body “need” less food. And if you tend to drink lots of soda and sugary drinks and junk food, stop right now! And start drinking filtered water & eating some fruits, veggies and protein like eggs/ground beef/turkey/chicken! And maybe even try to exercize a bit from time to time! Because you NEED your body to be in great shape, to be able to endure any number of things, during the “Great Tribulation”. You might have to go without food for 2 or more days, you might have to sprint/run/swim a long distance in an emergency, etc. The bottom line is, BE PREPARED! 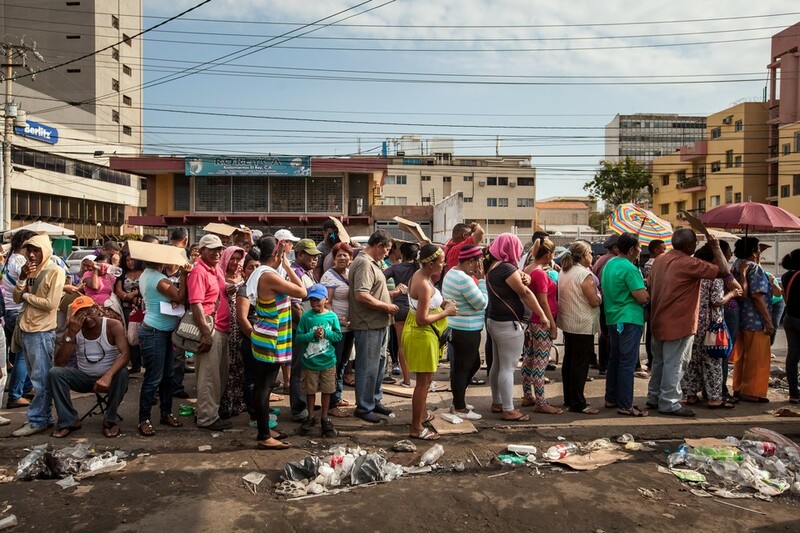 The “food line” in Venezuela (down below) looks pretty “tame”. 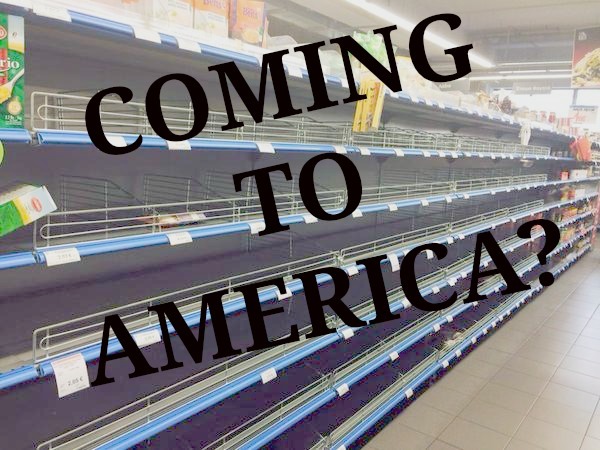 But I’d be willing to bet that any “food line” in the U.S. would be much more “violent” by comparison. Why? Because in Venezuela, there’s a high number of Christians living there. Here in America, we’ve become (as a whole) one of the most godless countries in the WORLD! I’m really sorry guys, I really hate saying that and having to say that, but it’s true! America has just become SO evil, SO godless……..it’s amazing we’re EVEN still standing as a nation……even now…….Because quite honestly, I think one of the ONLY reasons that the Lord hasn’t fully struck America yet is DUE to his people here in America………even as few and far between as they ARE……. Sadly, many Christians and non-Christians alike (rather a non-believer or follower of a different religion) — for the most part — as a collective whole — just seem to have their heads buried in the sand! They, per say — DON’T read the bible, don’t know what’s in there, bible-prophecy wise, don’t know of the hellish times coming ahead (or tend to not care that much if they DO know). They seem to think (as a collective whole) that our country is still standing NOW and will ALWAYS be left standing, while refusing to see the “signs of the times”. They are WHOLEY UNPREPARED for what we — as a nation – will soon face, someday! But then again, this isn’t just an “American thing”, it’s a WORLD-WIDE thing! For it’s NOT JUST America that’s turned its back on God/Jesus Christ Almighty! It’s actually the WHOLE WORLD — as a whole — that’s turned its back on God/Jesus Christ Almighty! “So how did the world do that, as a whole?”, one might ask. Simple….It has embraced “Homosexuality” and “Gay Pride Parades” [thereby taking PRIDE in SIN, instead of BEING ASHAMED OF SIN!] It’s EMBRACED “Abortion” and falsely called it “Women’s Rights”. It has EMBRACED taking bibles and prayers OUT OF THE SCHOOLS! It has EMBRACED a PAGANIZED version of Christianity and DONE AWAY WITH the BIBLICAL, JEWISH JESUS CHRIST TALKED ABOUT IN THE BIBLE! It has EMBRACED “Tolerance” and “Diversity” [Sin, in other words and the PROMOTION of it, thereof!] It has EMBRACED the persecution of TRUE/BIBLICAL CHRISTIANS World-wide! It has EMBRACED false religions such as Buddhism, Islam, Catholicism, Mormonism, Hinduism, etc. It has EMBRACED the New Age/False Enlightenment Movement! It has EMBRACED things like Pride, Materialism, Lust, Greed, Vanity, Etc.! The World has turned ITS back on God Almighty/Yeshua/Jesus Christ! So now HE, in turn, will now fully turn his back on IT! Does that SCARE you a bit, folks? IT SHOULD! My hope of this post (as well as this entire blog) is to teach you THE TRUTH about these things, so that you’re no longer kept in the dark by Satan and his “operatives” (both demonic and human). It is also my hope that Almighty Yeshua/Jesus Christ will open up your eyes before it’s too late and before your soul becomes lost FOR ETERNITY! In fact, there’s a ministry out there called “Open Your Eyes People”, run by Anita & Ignacio Fuentes. [You can look her up on Youtube]. She teaches the truth about a great many things, including bible prophecy matching news headlines, etc.! She doesn’t sugarcoat things or support UNBIBLICAL things like Abortion and Homosexuality like you see MANY, MANY pastors do the in the churches today! Read your King James Bible AT HOME and develop your OWN personal relationship with Jesus Christ! A TRUE spiritual relationship that’s not FORCED, that’s not COMMERCIALIZED, that doesn’t just feel like GOING THROUGH THE MOTIONS, or one that “depends on donations”, etc. For I’ve learned FAR MORE about Jesus Christ and his TRUE gospel at home in my own spare time than I EVER learned about him in a “commercialized church”. In fact, John Oliver has EXPOSED the churches for what they REALLY are — money grabbing machines! And many Christian pastors want to tarnish his name because of it…..But ya know what? Mr. Oliver actually did a good service by exposing what REALLY goes on in the churches today — as a whole! I honestly believe that God (for whatever reason) is using him in these last days to take the Christian sheep AWAY FROM THE SPIRITUAL SLAUGHTER OF THE CHURCHES!!!!!!!!!!!!!! And once more, Mr. Oliver even seems to feel TRULY bad for all the people that the church has “duped”, financially speaking! Do you ever see any public Christian figure out there speaking about what the church and mega-pastors are doing to “Christians” today, financially and spiritually speaking? And if so, have you noticed how much “hate” that public Christian figure gets, when so? Things are just CRAZY, these days! People are calling what’s evil good (homosexuality, abortion, envy, cleavage-showing, materialism) and what’s good (humility, modesty, traditional marriage, the appreciation of life) evil! 1). Are YOU prepared for the coming One World Order and what all “hellishness” it will entail upon Christians — TRUE, biblical-roots Christians? In other words, are YOU ready to fully persecuted for your faith, rather it be severe mocking of your faith, torchure, fines, imprisonment, etc? 2). Are YOU ready to die for your faith in Jesus Christ, if necessary? Rather it’s from refusal to take the mark someday, refusal to renounce your faith, etc? In other words, if someone pointed a gun at your head 5 minutes from now and asked you if you’d be willing to die for Christ, would you say YES? Do you HAVE the type of faith and 100% boldness REQUIRED to say YES? 3). What are YOU doing to get prepared for the GREAT TRIBULATION and/or possible martyrdom in the name of Jesus Christ someday? If you don’t have the type of faith that’s STRONG ENOUGH to die for Jesus Christ someday, what are you doing (if anything) to try to GET that type of faith? Be DOERS Of The Word And NOT Just Hearers, ONLY! Believe me, this goes just as much for ME as for ANYONE, here! We can know every word of scripture there is to know………but if we don’t DIRECTLY APPLY what we know about the Word of God to our LIVES, then the Word of God has NO true *root* in us; in our mind, heart, body or SOUL! James 1: 19-25 in the New Testament states: “Wherefore, my beloved brethren, let every man be swift to hear, slow to speak, slow to wrath: For the wrath of man worketh not the righteousness of God. Wherefore lay apart all filthiness and superfluity of naughtiness, and receive with meekness the engrafted word, which is able to save your souls. But be ye doers of the word, and not hearers only, deceiving your own selves. In other words, James 1:19-25’s telling us not just to READ about the Word of God but to APPLY the Word of God DIRECTLY to our lives! Help those less fortunate than us. When you pass by a homeless person (rather or not they have a sign asking for money/food), do you actively GIVE them a meal or money for some food, for instance? Preach the gospel of Salvation/Jesus Christ to others. Are you actively telling others about Jesus Christ/Almighty Yeshua and how he’s the ONLY way to Salvation, in some way, shape or form? Be it a blog, ministry, Youtube videos, in person testimony, etc.? Forgive those who’ve hurt us. Have you forgiven all the people who’ve hurt you? If not, have you PRAYED to be ABLE to forgive them? The bible says that if WE don’t forgive OTHERS for things they’ve done against US, that the Lord also won’t forgive OUR “sins/trespasses” against HIM/ALMIGHTY GOD! Get full-water immersion baptized and receive the gift of the Holy Spirit. As soon as we truly BELIEVE in Jesus Christ and his gospel, we should desire to get full-water-immersion baptized in his name and receive the gift of the Holy Spirit! Have no idols or graven images! Have you gotten rid of that Buddha or Krishna statue? That golden “trophy”? The dream catcher? Carved images? Hung paintings of this or that on the wall? Statues (EVEN IF and *ESPECIALLY IF* they’re *Catholic saints/DEMONS*?) Images of dragons, Darth Vader, Harry Potter characters, etc? Trust in the Lord Jesus Christ AND his words! Have you TRULY trusted Jesus Christ with your LIFE? Would you TRULY trust Jesus Christ to get you through THE MOST difficult situations in your life such as witnessing to homosexuals, knowing exactly what to do if and when someone points a gun at your head, etc.? And do you trust that the bible is 100% sure and that everything will come to pass as the Lord SAYS it will come to pass? Love our neighbor as ourselves. Have you hated anyone recently? If so, you haven’t been truly applying the written Word of God to your life! ETC. ETC., YOU GET THE POINT! His lord answered and said unto him, Thou wicked and slothful servant, thou knewest that I reap where I sowed not, and gather where I have not strawed: Thou oughtest therefore to have put my money to the exchangers, and then at my coming I should have received mine own with usury. Take therefore the talent from him, and give it unto him which hath ten talents. For unto every one that hath shall be given, and he shall have abundance: but from him that hath not shall be taken away even that which he hath. And cast ye the unprofitable servant into outer darkness: there shall be weeping and gnashing of teeth”. In this case, “talents” is referring to ancient biblical “gold or silver coins” (as far as I know). But in MY opinion, it can also have double-meaning. In TODAY’S terms, the “talents” COULD be money in SOME cases, but in many others, it can also mean “talents” and “abilities” (IN GENERAL). The bible says in Matthew 25:15 “And unto one he gave five talents, to another two, and to another one; to every man according to his several ability; and straightway took his journey“. So in other words, in the parable, each man was given talents, according to his “ability”. What does “ability” mean in this case? Does it mean workmanship ability in the temporal working world? Or is it talking about workmanship ability in the SPIRITUAL world? Or could it be a combination of BOTH? The bible doesn’t really specify. But there’s no doubt in my mind that if Jesus were to speak this parable to the modern day world of 2015, that he’d be referring to BOTH. Romans 12: 6-8 states: “Having then gifts differing according to the grace that is given to us, whether prophecy, let us prophesy according to the proportion of faith; Or ministry, let us wait on our ministering: or he that teacheth, on teaching; Or he that exhorteth, on exhortation: he that giveth, let him do it with simplicity; he that ruleth, with diligence; he that sheweth mercy, with cheerfulness”. Truth be told, we ALL have different talents & abilities. And it’s how we USE those talents and abilities to further the kingdom of God on Earth that matters and that’ll also show WHERE we’ll stand with God/Jesus Christ on the fateful Day of Judgement! For example, are you good at writing? Start a blog, write a book, produce Facebook notes about Jesus/Salvation, etc. Are you good at photography? Use photography to GLORIFY God’s creation! Are you a good public speaker? Get involved in politics or podcasting/radio or another public forum, in order to glorify the God of the bible! Do you have the power of persuasion? Perhaps street preaching might be good for you. Are you artistically gifted? You could use your art to GLORIFY God by illustrating Christian books or stories, creating beautiful Christian bible verse cards or creating 3D animated Christian-themed movies or videogames, etc. Are you gifted at singing? You could use your good singing voice to GLORIFY God and to USE your beautiful God-given voice to motivate others to worship the Lord in spirit and in truth! You get the picture…….. But basically, we are use our “spiritual gifts” and “talents” in order to bring HIM glory and in order to FURTHER the Kingdom of God on Earth! And remember that the Kingdom of God on Earth lives WITHIN us! We are to be the EMBODIMENT of that Kingdom! That’s essentially what it means to be a DOER of the written word of God (the bible) and not just a HEARER, ONLY! I hope and pray that ALL who read this will become DOERS of the written Word of God (the bible) and not just hearers, only! Amen.